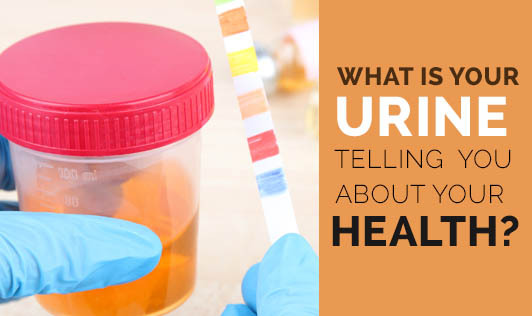 What is your urine telling you about your health? The urine can contain many different clues to how your body is doing. Your urine tells a lot about your health. The appearance and smell of your urine as well as the frequency with which you have to go-can provide many clues to what else is going on in your body. Normal urine color ranges from pale yellow to deep amber which also depends on the intake of water. Burning sensation- Burning sensation during micturition may be an indication of UTI, dehydration, infectious or non -infectious STDs. Foul smell- It could be due to some infection. Sweet smell- this may be an indication of the presence of blood sugar that’s being excreted in the urine and diabetes and pregnancy could be the reason. Frequent urination- may be an indication of UTI, pregnancy, diabetes, vaginitis, urethritis and alcohol use. Foaming urination- Usually, it occurs due to the speed of urination, but if it keeps coming back and is more noticeable overtime then might be a sign of protein in urine or kidney problem. Pink or reddish urine- it can be caused by trauma or microscopic tears, kidney stones, infections, prostate problems, cancer or it could be a side effect of taking blood thinning medication or daily aspirin therapy, some foods like carrots, blackberries, beets, and rhubarb can also turn your pee a pinkish-red color. Brownish urine- this could be a sign of dehydration and disease of liver and kidney. Orange urine- it can be caused by liver or bile duct problem, anti-inflammatory drugs, chemotherapy drugs and laxatives or overconsumption of vit.B12 or beta carotene and food dye could also be a reason. Green or blue urine - it can be caused by certain medication, multivitamins, infections, and food dye and asparagus. Consult your doctor if you notice any signs that worry you.